Details Lamp black is a type of carbon black obtained from the soot of burned fat, oil, tar, or resin. Lamp black is a soft brownish- or bluish-black pigment that is very stable and unaffected by light, acids and alkalis. Our lamp black is of high purity made in modern oil furnaces. Due to the particle size, when applied full strength a brownish undertone is generated, while in mixed with white in gray tints, a more bluish undertone appears. Lamp black has been in use since prehistoric times, and is probably the oldest pigment known to mankind. For use as a watercolor, lamp black was mixed with glue, prepared in sticks and sold as India ink. 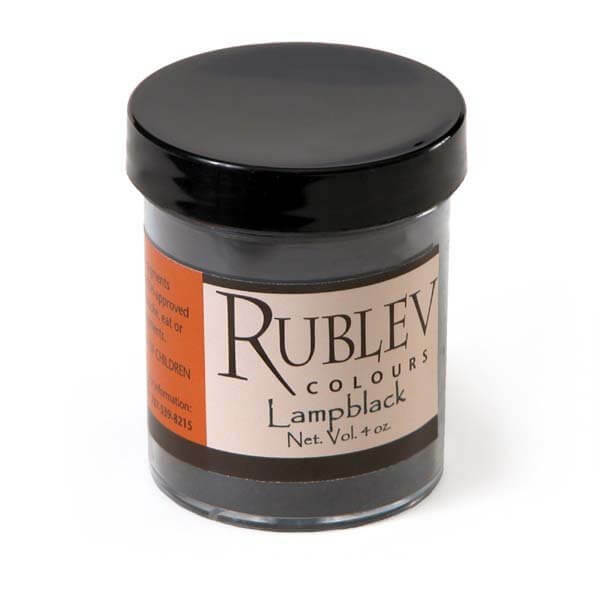 Lamp black was one of the major black pigment in early American house paints (Newman and Farrell, 1994). 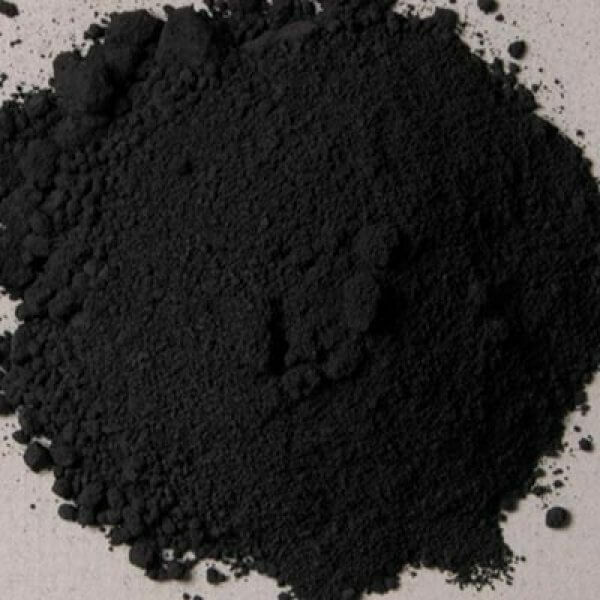 Currently lampblack is used as a black pigment in cements, ceramics, printing inks, crayons, shoe polishes, and carbon paper. Lamp black, a deep black pigment consisting of amorphous carbon in a very fine state of division, is obtained by the imperfect combustion of highly carbonaceous substances. When resins, resinous woods, fatty oils and fats, paraffin and paraffin oil, or coal-tar oils, are burnt with an insufficient supply of air, a considerable part of the carbon they contain may be deposited in the form of soot. This soot is not, however, pure carbon, but retains variable proportions of the tarry products of imperfect combustion; these tarry products impart to lamp black a more or less pronounced warm brownish hue, except in the cases in which it has been prepared by processes specially designed to remove the tarry products. Today, lamp black is procured by the imperfect combustion of oils obtained in coal-tar distillation. A fine, light, fluffy powder is derived by collecting the soot from the burning oil. It is the most familiar of the pure carbon black group of pigments. The selection of pigment blacks for industrial applications is mostly done by color criteria, with the primary particle size playing the most significant role. Selecting a fine grade of particle size is important for these reasons: the finer the particles of pigment black, the deeper the color; the better the stabilization of the pigment to binder, the more bluish the undertone will appear to be. The primary particle size of our lamp black is in the 90-120 nm range. Lamp black is a permanent color for all uses on the artist's palette. It is compatible with all other pigments, and can be used with good results in all mediums. Lamp black absorbs a very high amount of oil. The oil absorption ratio is 117 milliliters of linseed oil to grind 100 grams of pigment to form a stiff paste. It makes a very slow drying oil paint, and forms a soft, brittle film. Due to its slow drying rate, it should not be used for underpainting unless mixed with a siccative color such as umber or pyrolusite. Lamp black is not considered hazardous, however care should be used in handling the dry powder pigment to avoid inhaling the dust. Density: 1.77 g/cm3 at 20° C.